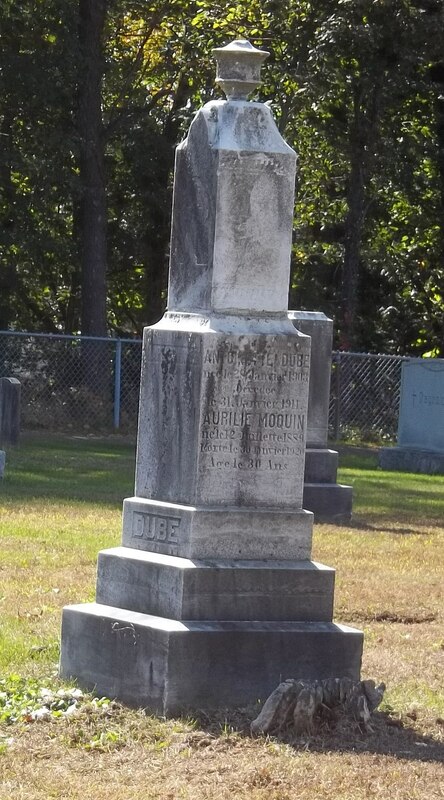 Aurélie Dubé has been resting in peace since 1920 in St. Thomas cemetery. Judy sent me this picture a few weeks ago, but since she can’t read French, she asked me to translate. Even though there are some typos, we are able to understand who is buried there. Moquin is her married name! 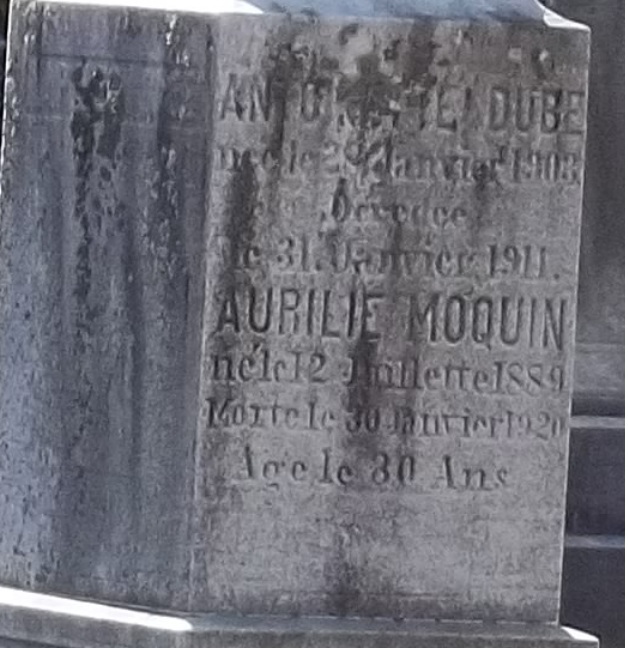 Aurilie is in fact Aurélie Dubé, daughter of Napoléon Dubé and Mary Emmons (Émond?). Napoleon fathered four children: Aurelia, Arthur, Laura and Lillian. 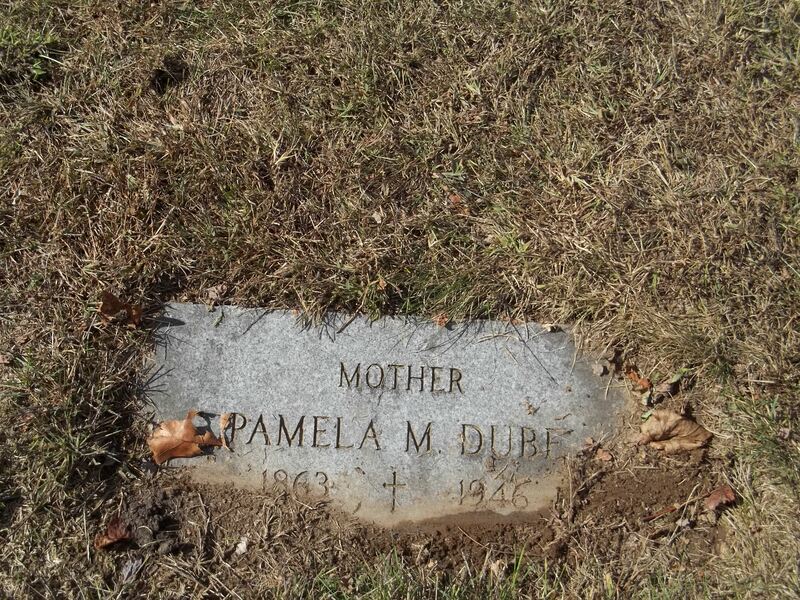 Mary died and Napoleon remarried in 1899 Pamela, maiden name unknown. They had a daughter Catherine. Napoleon and Pamela are buried next to Aurelia, but not Mary. 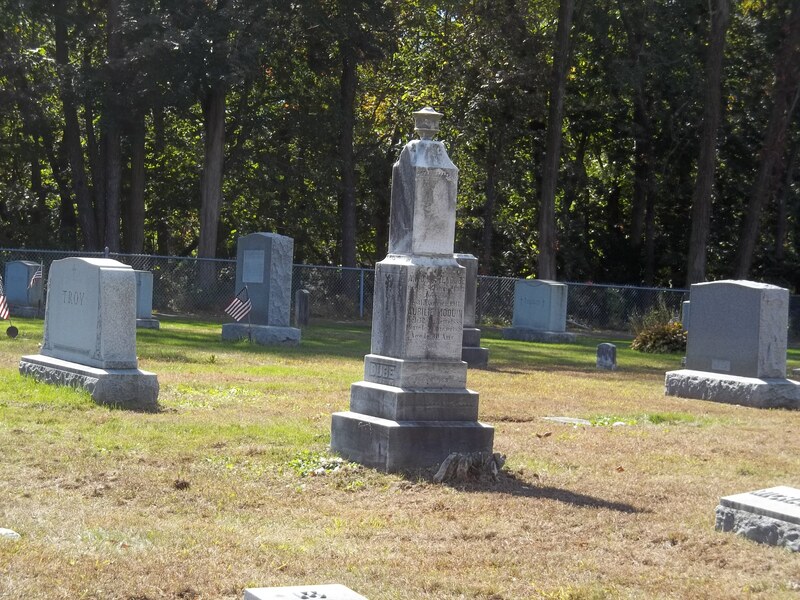 Where is Mary Emmons buried? Most probably in the same cemetery as my great-grandparents Dennis Lagasse and Harriet Alexander who are in fact Stanislas Lagacé 1842-1927 and Henriette Alexandre 1845-1907. Their headstones are yet to be found. This might seems trivial to someone reading this unless you know I knew nothing about my grandfather’s parents back in 2007 and started to write about it in 2009 on this blog. I have been working on my family tree since 2007. 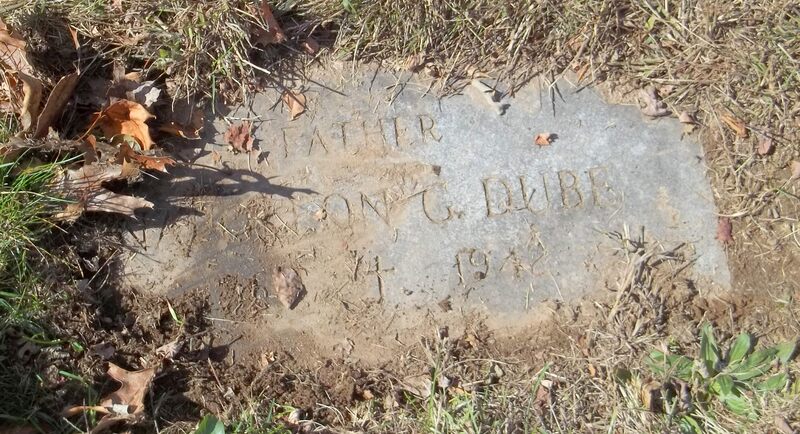 I found your name in your mother’s obituary yesterday as I was searching for Dubé relatives. The Dubés are related to my Lagacé lineage. Your father George was the son of Lillie Lagasse who was my grandfather’s sister. I have all the Lagacé lineage as well as the Dubé lineage. You can contact me if you want. I also have pictures of Lillie’s siblings and her father Stanislas Lagacé (Dennis Lagasse) who emigrated to the U.S. in 1889. You can pass this message along to relatives who might be interested. Well I have a found myself a new first cousin interested in genealogy.